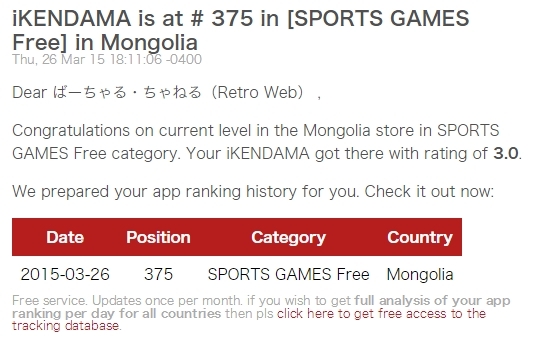 Congratulations on current level in the Mongolia store in SPORTS GAMES Free category. Your iKENDAMA got there with rating of 3.0. Free service. Updates once per month. if you wish to get full analysis of your app ranking per day for all countries then pls click here to get free access to the tracking database.